We, at Naran Lala, the creation of copper Pot Stills is our traditional skill & expertise since 1918. Pot Stills are hand made by us in any contour or size as per the requirement of the client since we ourselves are `Kansara’ means copper smith. We can manufacture different capacity of Wash Wine and Low Wine Pot Stills ranging from 5000 Litres to 25000 Litres charging capacity with different heating elements like internal coils, heating drums or external heating elements like reboilers, jackets. The shape of the copper pot still can be made in conical or onion shape. The top vapour pipes are also shaped differently like lamp shape, spherical ball, and elliptical ball ending in goose neck. 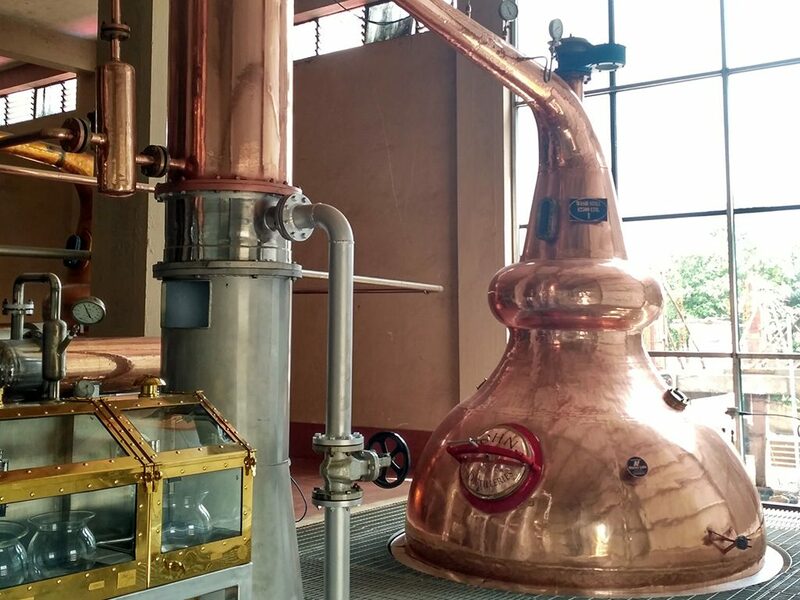 Traditionally, Copper Pot Stills are far superior and preferred to a steel pot still as copper pot still will help to improve the quality and aroma of the final alcohol distil spirit and will retain better organoleptic taste of the spirit.